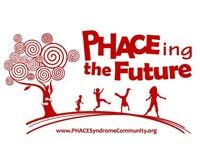 If you're interested in supporting PHACE Syndrome Research, the Ronald McDonald House Charities, and Moyamoya Research, by purchasing a HOPE bracelet or other HOPE products, please click on the PayPal link below. You will then be directed to the Paypal login page. Remember, ALL proceeds are donated directly to each of the above-mentioned charities. If you'd like to contact us for any other reason, please fill out the form and click submit. If you'd prefer to donate directly to any of the below-mentioned organizations, click the appropriate link below. 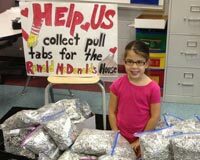 Helping others one pull tab at a time!